At the end of a long day, there's nothing like going home and relaxing in the spa to relieve stress. Marquis spas make a welcome addition to any home for just this reason. 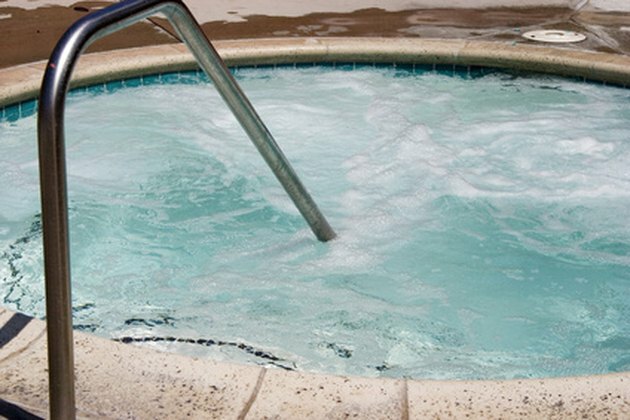 Most of the time Marquis spas are reliable and easy to maintain, but every appliance has problems on occasion. Luckily, Marquis spas are equipped with special technology to help you troubleshoot many problems at home. Many Marquis spa problems can be diagnosed at home. Check the LCD diagnostic messages on the Marquis spa for the problem you are experiencing. Many models of Marquis spas can diagnose common problems themselves. If a problem is detected, it will be displayed in the LCD window on the control panel. Check the user’s manual that came with your spa or look online for the meanings of the many diagnostic codes. Before taking your spa apart or proceeding, check the LCD screen. Examine the circuit breaker if the Marquis spa does not operate. Owners of 240V spas should check the breaker on the main circuit panel. Owners of 120V spas should check the power cord and reset it. Examine the power cord itself for any damage or breakage. Beware of live wires, as they can cause serious injury. Make sure the jet shut-off valves are open, if the jets are not operating. Turn the jets so that they face forward, to increase water flow. Make sure the air control valve is open; if not, turn the lever counterclockwise to open it. Make sure there are no obstructions blocking the suction guards or filters. Rinse the jet valves, if they are hard to turn. There is likely a buildup of dirt, calcium or sand in the jets. Unscrew the plates around the jets and remove them. Rinse them thoroughly until any residue is removed. Replace them. Make sure future users shower prior to entering the spa. Check the LCD temperature display, if the Marquis spa is not sufficiently hot. Turn up the temperature, if it is below the desired temperature. Remove the filter cartridge and make sure it is clean. If it is dirty, replace it. Make sure the spa is not in Sleep Mode. Wait 12 to 24 hours for the water to heat up.